There's a new Fitbit fitness tracker in town. 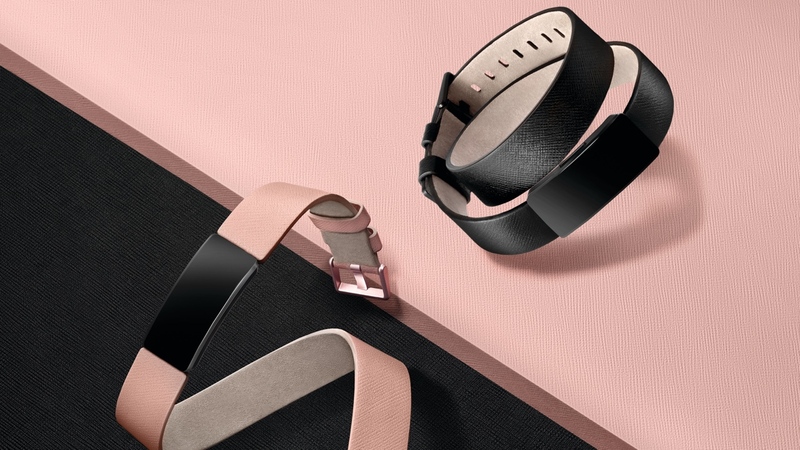 It's called the Inspire HR and it's replacing the Alta HR as well as the Flex, Zip and One trackers in Fitbit's family of wearables. It costs £89.99, making it one of the most affordable fitness trackers in the Fitbit collection. It's a feature-packed device, but it doesn't give you everything you get in Fitbit's flagship tracker, the Charge 3. But how much are you missing out if you decide to go for the Inspire HR over the Charge 3? We've lived with both trackers now to work out just what you'll like and not like so much about each. So if you're weighing up which of the two trackers you should go for, we've served you up a comparison to help you decide. This is undeniably going to a big factor for most people. You're going to be wearing this thing 24/7, so you want to know about things like fit, comfort, ease of viewing data and generally just being a good tracker to use day and night. Unlike the Alta HR, the Inspire HR has clearly been based on the same design language as the Charge 3, and as a result essentially looks a bit like a slimmer version of the flagship tracker. It's perhaps not quite as elegant as the Alta in our opinion, but it is more discreet than the Charge 3. The Inspire HR also offers something the Charge 3 doesn't, and that's the ability to pop the tracker part out of the band and put it inside an additional accessory (this is not bundled in) to wear on your clothes and keep it out of sight. The two trackers do share the ability to change out the bands. In the box you get a standard silicone band with a watch-style clasp to keep it securely around your wrist. But Fitbit offers a decent range of bands in different materials and colours, so whether you're after something more stylish or low-key, you should find it. In the display department, both offer touchscreens and a secondary way to navigate through the data screens. In the case of the Charge 3, you can squeeze the side of the device to drift through screens. It works surprisingly well. On the Inspire HR you're getting a solitary physical button that can be pressed or held down to access features. Ultimately though, you're going to spend most of the time swiping your hands on that touchscreen display, and while they're not colour OLED displays, they are bright enough to view day and night. A reason you might opt for the Charge 3 over the Inspire HR is the larger screen, which should make information like tracking stats and notifications feel less cramped. The screen size on the Inspire HR compared to the Alta HR it replaces is not a massive leap, so notifications still feel a bit of a squeeze. If you want something more accommodating for your data, the Charge 3 is the one you want. If you care about having a waterproof Fitbit, then the good news is that both of these trackers offer that. You can shower, sweat it out in the gym and go swimming with the Inspire HR and the Charge 3. In terms of tracking what you do in that water, the Charge 3 is something of a better fit. While the Inspire HR does track some very basic swim metrics, you can't view any of that data on the device itself. It's the same story with the Charge 3, but it can capture swim lengths, duration, distance and pace data, which is viewable in Fitbit's companion smartphone app. If we had to pick one of these trackers to live with, we'd probably say the Charge 3, just for that larger display. But in truth, there's not a massive amount to separate the two. Both are light, comfortable bands to wear and offer the same level of customisation and personalisation. While the Inspire HR and the Charge 3 share a fair few similarities on the design front, it's in those all-important features where we begin to see some disparity between the two trackers. But let's start with what's the same. Both feature all-day tracking, offering basics like step counts, distance covered, calories burned and reminders to move. The Inspire HR, however, does leave out one big piece of tracking data: it will not track stairs climbed because it doesn't have an altimeter, which the Charge 3 does. Climbing stairs is a really good way of burning calories, so it's a bit of a disappointing omission. Both offer automatic sleep monitoring, and with the presence of Fitbit's PurePulse heart rate monitors on both trackers you will also get additional Sleep Stages data to help improve your sleep quality. It also unlocks guided breathing support if it's important for your tracker to help you de-stress during the day. Speaking of heart rate, you're getting the same features here. So we are talking resting heart rate, training in heart rate zones and the ability to view heart rate data in real-time. Based on our experience, there's not a lot to separate the two as far as heart rate accuracy is concerned. It's great for the continuous tracking and steady heart rate-based workouts, but it's going to struggle when it comes to the high intensity test for activities like a spin class or an interval treadmill run. In the sports tracking department, there's no separating the two. Both offer Fitbit's automatic exercise recognition and while there's no built-in GPS on either model, you can take your phone out with you and piggyback off its GPS signal to get additional mapping and route data from your outdoor workouts. Both have goal-based exercise modes, which were first introduced on the Charge 3 and enable you to work towards hitting a certain distance or workout time. There's one more feature you'll get on the Charge 3 that you don't get on the Inspire HR. Like Fitbit's smartwatches, the Charge 3 also includes an SpO2 sensor, with its inclusion aimed at offering serious health monitoring features around the areas of sleep and heart health. That health tracking support is still lying dormant at the moment though, so it's a future-proofing feature more than anything right now. Fitbit has been doing an admirable job trying to make the experience of using its fitness trackers close to that of using its smartwatches. That means bringing some of the features from its priciest wearables to its more affordable devices. These two trackers don't run on the same software as the Versa, Versa Lite or Ionic watches, so you won't be able to download apps or listen to music for instance. But there are some features here that will make your wearable feel a bit more smartwatch-like. Both offer the ability to view notifications for first and third-party apps like Twitter and Facebook. On the Inspire HR, however, you can't respond to notifications – that's only available on the Charge 3 (when paired to an Android phone). The Charge 3 does offer some very basic apps that let you see upcoming calendar appointments and view the weather, but as mentioned, you won't get big apps like Uber or Starbucks on here. Another big advantage of getting the Charge 3 over the Inspire HR is payment support. The Charge 3 does work with Fitbit Pay to offer contactless payments, but only on the special editions of the Charge 3, which is unsurprisingly more expensive than the standard version. Bottom line: If you want richer smartwatch-style features, the Charge 3 is the one you want to go for. The good news is that you're not going to be charging these trackers every day, but one will keep you away from your charger longer than the other. The Inspire HR has a battery life claim of up to five days, which is a drop down from the seven days the Alta HR offered. Based on our experience, that's pretty much on the money. You could probably squeeze an extra day if you switched off the notification support, but you cannot turn off the continuous heart rate monitoring. The Charge 3 wins the battery battle, offering up to seven days, and that's pretty much what we got when we put it to the test. Both though do take a couple of hours to get from 0-100% battery life. When it comes to pricing, the Inspire HR is a sub-£100 tracker while the Charge 3 comes in at £129.99 and is roughly £40 to £50 extra that you're going to pay for Fitbit's flagship fitness tracker. If you're looking at the Charge 3 special edition to get the model with Fitbit Pay, then that bumps the price up to £149.99. We've had very good experiences with both the Inspire HR and the Charge 3; they are comfortably two of our current favourite fitness trackers. When it comes to deciding between the two, we think it's going to be down to a few factors. For a more complete fitness tracking experience you should go for the Charge 3. You also go for the Charge 3 for the extra couple of days battery life, the richer swim tracking data and the SpO2 sensor. Although, as we said, that sensor is not being put to much use right now. The Inspire HR matches up pretty well in all other areas. You've got the same sports tracking and on-device experience in terms of what you can view and glance at during the day. You get notification support and we imagine that's going to be enough for most on the smarts front. The price is great as well here, and if you can survive without those Charge 3 extras we mentioned, then we think you'll have a good tracking time with the Inspire HR too.